Sport and leisure:1913. Irymple Soccer Team, Mildura. 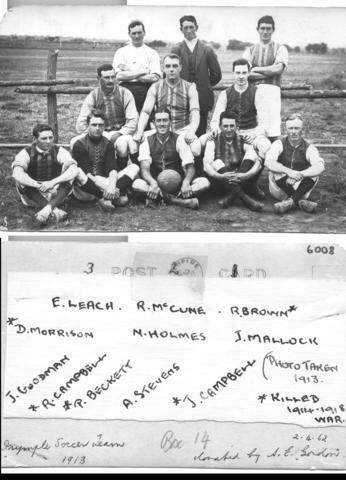 1913 Irymple Soccer Team, Mildura. Description: Irymple Soccer Team. 1913,(note 5 of the 11 players, KIA in WW1) Mildura.